Why are so many people stressed out and what does it have to do with teeth? Human beings are more stressed out than ever before. Mental health problems such as anxiety and depression are more common these days. Is that really true? Perhaps our grandparents didn’t openly discuss these issues. Maybe they never sought out treatment. Our expectations are too high Wait, Dr. Gamzeh, you are not a psychologist, what does this have to do with teeth? Stress, in most people, actually manifests itself in bodily symptoms. A friend once told me that he notices he clenches his teeth when driving through traffic in NYC. 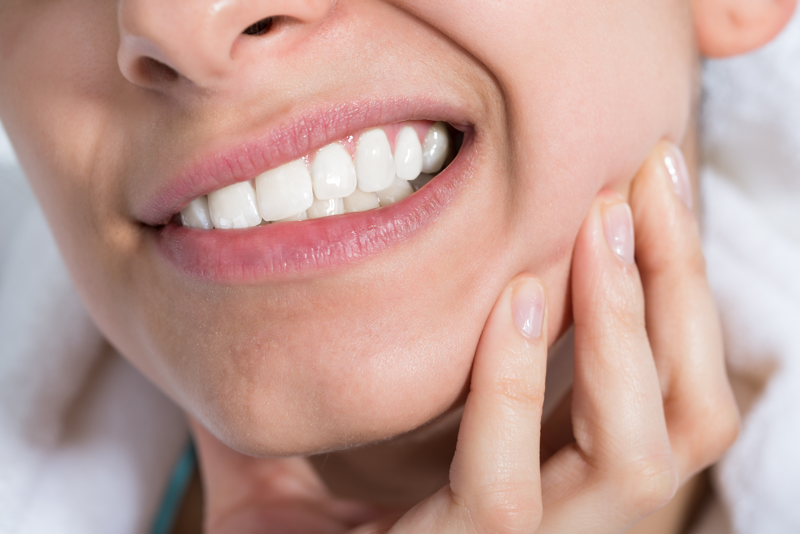 Grinding and clenching can wear down your teeth, cause hot/cold sensitivity, and ultimately lead to severe facial and jaw pain. This is commonly known as TMJ pain. Go to your dentist. You may need to get orthodontics to correct your bite. Your dentist may prescribe muscle relaxers or fabricate a mouth gaurd. This won’t prevent grinding/clenching but it will protect your teeth and joints from further damage. The root of the problem is stress and anxiety. Enjoy life, don’t stress about the small things (easier said than done), drink a glass of wine. If your anxiety is so severe that it is affecting your daily routine, you may want to see a therapist. As a starting point, come visit us at TDA to keep your teeth stress-free!